This is my current setup. It can be broken to much smaller pieces. . . drums or percussion. 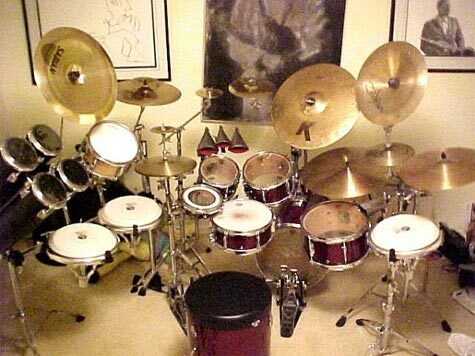 The core of it is an extended Yamaha Hip-Gig kit. You can probably tell by the octabans that I want to be Simon Phillips. lots of latin Lots of fun.